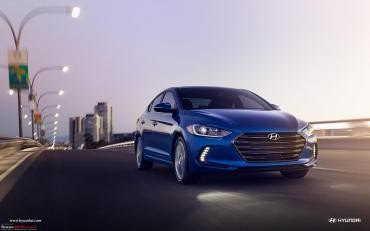 Hyundai India dealerships have started accepting bookings of the new-gen Elantra, which is expected to be launched in the last week of August or the first week of September. Customers are being asked to deposit Rs. 25,000 for securing their booking of the new Elantra. The new, sixth-gen Elantra was unveiled in Korea in September 2015. The car has coupe-like styling with a large hexagonal grille, projector headlamps and fog lamps located in boomerang-shaped housings. It is 40 mm longer, 25 mm wider and 30 mm shorter than the model it replaces. The rear gets a new set of tail lamps, and a restyled boot. The Elantra has already been spotted testing multiple times on Indian roads, pointing towards a nearing launch. Both the engines will be offered with 6-speed manual and automatic transmission options.